Last night St. Louis County officials in Missouri announced that Ferguson police officer Darren Wilson would not be indicted on any charges following the shooting death of a Michael Brown, a 17-year old black teenager. I watched the entire statement from prosecuter Bob McCulloch, who carefully provided a thorough explanation first of the entire grand jury process and then many of the specific facts of the case. He gave an extended defense of the grand jury decision by outlining what evidence existed, what testimony the grand jury heard, and critically, what conflicts arose between various witnesses themselves, and between witness statements and the physical evidence. About halfway through McCulloch’s statement, he declared that the grand jury determined that there was not sufficient evidence to support an indictment – for any of the five charges it considered. If you weren’t paying attention closely, it would have been easy to miss the moment when this information – really the only detail people wanted – was revealed. Without changing his tone or demeanor, McCulloch continued on explaining the facts and context of the events as the evidence showed. The entire time, CNN (and I assume every other network covering on TV) had a split screen showing McCulloch on one side and the streets of Ferguson on the other. Several hundred people had assembled, surrounded by heavily armed Ferguson police with riot gear, shields, and who knows what else. But unlike say the OJ Simpson veridict, there was not a moment of dramatic reaction where everyone simultaneuously realized the outcome. Of course, watching a muted crowd of people from various poorly-lit camera angles is a tough way to know when people heard. 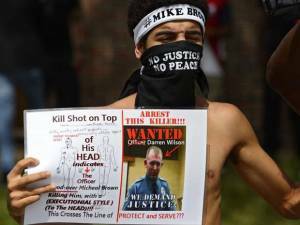 But over the course of a few minutes, it was clear that the protestors and others gathered became aware that Darren Wilson would not be indicted. Some people started running down the street. Some just stood around as before in small groups talking with one another. Some looked agitated and were yelling. The Ferguson police stood in position, seemingly readying for combat. But McCulloch continued speaking for at least another 10-15 minutes before CNN turned it’s focus back to the Ferguson streets and began “reporting” on the announcement’s aftermath. It all went downhill from there. (Some) protesters became looters. (Some) protesters set fire to several cars and buildings, including many local businesses owned by black citizens of Ferguson. The justice-seeking crown protesting an assault on human dignity turned into a horde of masked ruffians rampaging on a quest for free liquor and a once-in-a-lifetime pass to smash stuff, destroy property, and riot without getting arrested (although Ferguson police did arrest at least 60). Ironically, despite all the camera angles of Ferguson police officers and SWAT team members immediately before McCulloch’s statement, I barely saw a any cops in CNN’s breathless (literally) coverage over the hour and a half after the announcement. Rather than focus on the sad and counter-productive actions of a few dozen of the worst in Ferguson, I hope people can find the patience to actually think about what happened to Mike Brown and Darren Wilson and how the country can use the lessons to improve society not just for one race or one community, but for all Americans going forward. There are most definitely lessons to be gleaned from the entire Ferguson saga. Knee-jerk racial attacks and empty one-liners about how this just proves cops can “get away with murder” or that its legal to kill young black men in America are not just incorrect and inflammatory, they are highly counter-productive and utterly pointless. At least if the goal is an improvement for race relations, an improvement for black America, or an improvement in the criminal justice system. So I offer a few thoughts. Change for the sake of change is not necessarily an improvement. And just slapping together a cadre of random new dicta and calling it “reform” will not necessarily help anyone. But the fact is an unarmed young American man was killed by a Ferguson police officer – an officer of the government who is charged with protecting the general public and enforcing democratically enacted laws. So on the surface, it’s a perversion of what a police officer is supposed to do if he ends up killing someone. That’s obviously not what Darren Wilson woke up that morning trying to do, and it’s obviously not the goal of any PD in America, including the Ferguson police. But, equally obvious, is the reality that sometimes police officers do kill their fellow citizens. And given the tremendous pressures and danger inherent to the job, it’s fair to debate what circumstances can justify such an act. Stopping genuine threats and reacting to the use of force by criminals surely can lead to lethal outcomes. Stopping the terrorists who attacked a Jerusalem synagogue last week is a powerful example. After brutally murdering several men during their morning prayers (some who were Rabbis, all who were unarmed) with knives, axes and meat cleavers, the only thing that was going to halt the barbarity was a bullet fired at the two attackers. Jerusalem police responded within minutes and did the job. Who would argue that such lethal use of force by police was not justified? In fact, I think such a situation requires going further: to not immediately attempt to kill the terrorist attackers would be an abject moral failure. But Michael Brown wasn’t carrying out a terrorist attack. Brown wasn’t attempting to kill or hurt anyone. He was not in the act of committing any crime (though he had just stolen a $30 box of cigarillos from a local convenience store). And most important of all, Michael Brown was not brandishing or even carrying a weapon of any kind. Therefore, for him to wind up dead after a brief encounter with a Ferguson police officer is, frankly, absurd. Officer Wilson testified that Brown was immediately aggressive, charged at him, and even struck Wilson during a tussle in and around Wilson’s police car. Fine. Grant all of that and still, why was lethal force required? It’s 2014 and we have some pretty amazing technology in every corner of society. Was a taser not an option? How about mace or tear gas? Hell, what about shooting Brown in the leg? Wasn’t there any non-lethal tool available to Wilson in order to contain whatever threat Mike Brown posed? It’s incredibly hard to see how the answer is anything but “of course”. Now, I’m not condemning Darren Wilson. I believe he was following his training and by shooting Brown he may not have committed a crime, per se. But it was still wholly unnecessary. “It” being shooting Brown (12 times apparently). So the problem is much bigger than Darren Wilson’s specific actions that day or even the policies of the Ferguson police department. Wilson should have had an alternative to lethal force. Subduing disorderly citizens is hardly an uncommon part of a police officer’s job. Some subjects even are armed and possibly violent. But to escalate from verbal confrontation and physical intimidation (by Brown) directly to lethal force is ridiculous. There has got to be a middle ground… or really, several middle grounds. require all police officers to wear a body camera. As has been restlessly examined by the media since the shooting, body cameras would serve the dual purpose of protecting citizens from over-agressive policing (and similarly muzzling all kinds of discrimination and other police misconduct) and protect police officers from false claims of police brutality. It’s a basic human tendency to control one’s behavior when it is known that someone is watching. Especially if we know it is being recorded. If Ferguson police had worn cameras, the entire social saga might have been avoided. I have no idea what potential unforeseen consequences these two steps would have, but they seem like no-brainers as the place to start improving police interaction with citizens. Perhaps these steps would cause an officer to hesitate before employing lethal force and therefore become a victim himself by not eliminating a threat. But I doubt it. I believe training and technology can allow police officers to do their job in a manner that keeps them and the people they come in contact with safe. What, pray tell, is the point of all that? 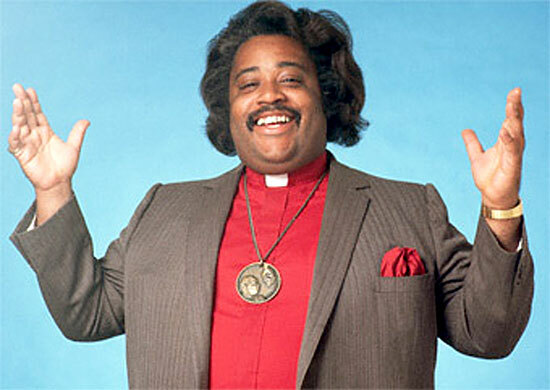 When did Al Quaeda invade with swarms of ground troops in Kansas or Missouri? Why do small-town police departments throughout the country – especially in rural America where there are not major “targets” – need all that military equipment? For what crises are Mine-Resistant Ambush Protected armored vehicles (MRAPs) critically required? Just because we’ve already spent billions of dollars on these military weapons fighting multiple wars since 9/11 doesn’t mean we should distribute them like Halloween candy to America’s police forces. It’s not even solving a problem we don’t have. It’s creating problems by buffetting both the perception and reality of police as occupying forces in countless American communities. The police in 38 states have received silencers, which soldiers use to muffle gunfire during raids and sniper attacks. Lauren Wild, the sheriff in rural Walsh County, N.D., said he saw no need for silencers. When told he had 40 of them for his county of 11,000 people, Sheriff Wild confirmed it with a colleague and said he would look into it. “I don’t recall approving them,” he said. Perhaps the problem here is attitude, but it may also just be inertia. We are winding down (sort of) two major wars overseas and naturally there are literally tons and tons of surplus heavy equipment. It it isn’t claimed, it’s usually destroyed according to the NY Times. 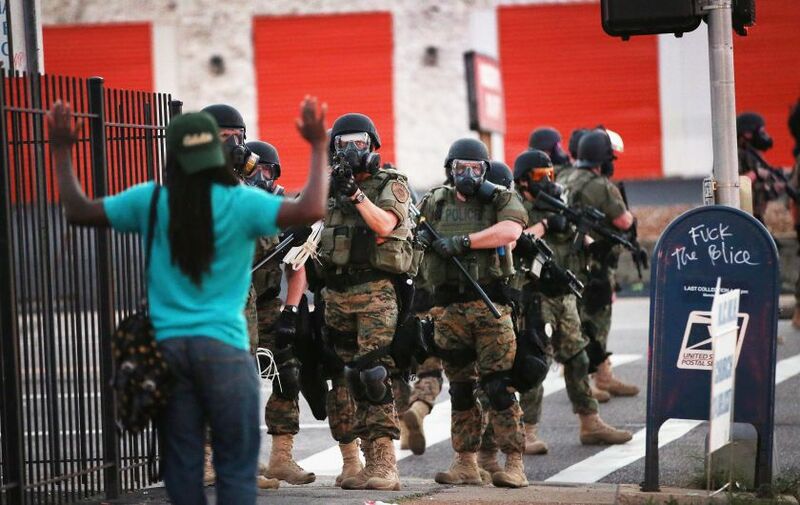 But the consequences of such a militarized police presence have been ignored for too long. How can a community trust its police when SWAT teams are called in for small-time offenses, like “barbering without a license” (which, apparently, is a thing). When you give police this kind of weaponry, it only encourages the soldier inside every police officer. It dramatically reinforces the notion that police are not there to protect, but instead to occupy America neighborhoods… especially the black and brown ones. 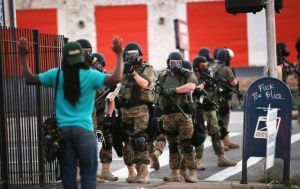 In turn, citizens trust the Ferguson police even less and react more aggressively when events light a fuse as they did in Ferguson, Missouri. Even if Darren Wilson followed his Ferguson police training and did not commit a crime, there are clearly deep structural problems with America’s criminal justice system, particularly when it comes to the trust between many minority communities and the police. As has been repeatedly noted in the media, the Ferguson police department is almost entirely white, while the town of Ferguson is about two-thirds black. And in most urban centers the proportion of arrests are overwhelming skewed towards blacks and Latinos. I believe there are many “causes” of this phenomenon, and is not simply a sign of the engrained latent racism of most white Americans. There are of course deep historical causes stemming from generations of systematic subjugation by the government, especially in the South but also in the North. You can’t un-do a hundred years of Jim Crow laws affecting housing, voting, education, transportation, business and criminal justice overnight. And I don’t believe that racism is today a major concern even in the criminal justice system. Yes it’s true that minorities are disproportionately represented in jails, but again, there are many non-racial reasons for that. Drug laws, for example. Drug laws are horribly un-American, needlessly punitive, and wholly counter-productive. Those are not race-based laws, but blacks and Latinos are disproportionately affected by them. Eliminate drug laws and you eliminate the major source of the disproportionate statistics of arrests and the jailed population. In addition, bail in America has become a heinous stain on the notions of liberty. If you’re wealthy, you get to go home and await trial comfortably (and contribute adequately to your defense). But if you’re poor (no matter your race), you are compelled to sit in a jail cell in squalid conditions with little or often no access to the internet, books, an attorney, phones, or an adequate ability to prepare a defense. That is indefensibly wrong. We must reform how the entire bail procedure functions to ensure it actually serves it’s purpose of making sure defendants show up to court. Ironically, it is the wealthy who have the means to flee the court’s jurisdiction anyway. Poor people are almost by definition less able to flee. Also, the fact that we still have a death penalty is itself amazing in 2014. Most of my life I was a strong supporter of the death penalty. A piece of me still wants it available for the worst of the worst of the worst (I’m talking serial murderers who tortured their victims, admit their guilt, are totally unrepentant, are not mentally disabled in any way, etc.) But society still succumbs to the mob-justice mentality that we will kill you if you break the law. We will strap you down to a chair and inject several drugs to kill you. And the governor of your state will sign a piece of paper “certifying” your death like he’s signing an autograph. As heinous a crime as a person might have committed, doesn’t it just seem, kind of, wrong, to have state-sanctioned murder? And what if, you know, they didn’t do it? My point is that there are so many significant problems with the criminal justice system in America today. So let’s focus on them and avoid the temptation to get distracted by phantom gripes by self-righteous provocateurs (…cough, cough). Even before the indictment decision last night, commentators throughout America on social media and the main-stream media made declarative statements about what occurred. The demands for justice called Darren Wilson a “murderer” and people who have none of the evidence proclaimed that Michael Brown had his hands up and his back turned when he was killed – both disproven by the physical evidence and autopsy. But, when race is in play, the facts seem to be mostly irrelevant to the self-proclaimed social justice warriors of America. Never mind that Michael Brown was the aggressor. Never mind that Michael Brown charged at Officer Wilson and refused to stop when Wilson ordered him to. Never mind that Wilson had literally just robbed a convenience store and assaulted its clear. Never mind that Brown’s blood and DNA were found on the inside of the Wilson’s SUV, indicating that Brown was at one point inside the car. Three separate autopsies were conducted, including one conducted privately and one conducted by the federal government. Among other things, the autopsy found that Brown had gunshot residue on his hands, indicating a close up gun shot. Also important to note is the false information, presumably leaked by the Ferguson police, that Wilson had a broken eye socket and possibly other serious injuries. All of these stories turned out to be false; Wilson had only minor redness and a few scratches. This case will go down as a prime example of how unreliable witness accounts can be. In fact, it’s not always even clear if a person was even a direct witness, or whether they merely heard hearsay after-the-fact, or worse just made assumptions and filled in parts they did not directly observe. McCulloch spent a good portion of his statement explaining the inconsistencies between witnesses’ statements. He also noted how some witnesses changed their stories when confronted with the physical evidence. Equally problematic, others still stuck to their original stories. Numerous studies and many real-life cases where convictions were overturned with DNA evidence have shown how unreliable witness testimony can be. Due to any number of variables a person may truly believe what they report to investigators or a jury even if it is flat-out not accurate. Some of these the justice system can control and others are just inherent to human psychology. One of my all-time favorite “academic” videos demonstrates this idea supremely well. I have watched hundreds of people view this short clip and it is truly incredible – and shocking – how fallible human attention can be. Even when we are trying our hardest to pay extreme attention to an event, we can still miss major fundamental details of what occurred. The physical evidence does not change because of public pressure or personal agenda. Physical evidence does not look away as events unfold nor does it blackout or add to memory. Physical evidence remains constant and as such remains a solid foundation upon which cases are built. When statements changed, witnesses were confronted with the inconsistencies and conflict between their statements and the physical evidence. Some witnesses admitted they did not actually see the shooting or only saw part of the shooting, only repeating what they heard on the street. Some others adjusted parts of their statements to fit the facts. Others stood by original statements even though their statements were completely discredited by the physical evidence. Maybe some of the witnesses fostered such a deep mistrust of the Ferguson police that they filled in the blanks of their memory with whatever they assumed a racist cop would have done. Maybe they wanted attention. Maybe they had a bad angle or saw only part of the events as they unfolded. Maybe the neighborhoods where the witnesses lived and the general anti-police environment after the shooting contributed to their “reconstructions”. Whatever the case, as McCulloch pointed out, it is unlikely any of the witnesses knowingly lied to the grand jury. That would constitute perjury. In theory, America’s court system is premised largely on the idea that witnesses will be truthful when under oath. But being truthful doesn’t necessarily mean being accurate. That’s the problem. Well, that’s one of the problems. I know this post only touches on a smattering of the many complex issues presented by this case. For years to come people will evaluate the actions of everyone involved, and not just Wilson and Brown. The Ferguson police and the entire Ferguson community will be under heavy scrutiny for a long time. And maybe, just maybe, we can be collectively motivated to focus on the evidence and begin to implement thoughtful, productive reforms that do more than appease the anger of the loudest looters. Let’s consider the whole picture and figure out how to prevent more people from becoming a victim of their own police. No matter what Michael Brown did before he was killed, and no matter what Darren Wilson does now, I think we as a society owe it to ourselves to take honest, positive, constructive action. That’s what America is supposed to stand for, and we’ve done it repeatedly before. Let’s do it again.